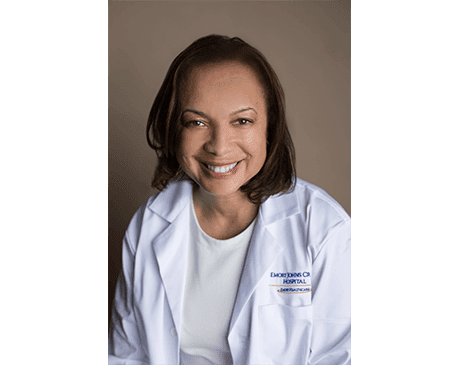 Betty L. Anthony, MD, PhD, FACOG, is an obstetrician and gynecologist at Suburban Women’s Specialists, located in Johns Creek, Georgia. She received her medical degree from the Medical College of Georgia in Augusta, Georgia, and completed her residency training at University Hospital at Case Western Reserve University in Cleveland. With over 20 years of OB/GYN experience, Dr. Anthony provides a wide range of services, including the full scope of gynecologic care, prenatal care, ultrasound imaging, and surgical intervention, when it’s needed. She performs robotic-assisted surgery with the da Vinci® Surgical System and uses the innovative MonaLisa Touch® laser for vaginal rejuvenation. Dr. Anthony gives each and every patient her personalized attention. She offers the most up-to-date, advanced treatments to provide patients of all ages with the quality care they deserve in a warm, welcoming environment. She received the Patients’ Choice and On-time Doctor awards and the Compassionate Doctor certification from Vitals.com. Dr. Anthony is board certified by the American Board of Obstetrics and Gynecology, is a Fellow of the American College of Obstetricians and Gynecologists, and is a member of the Georgia Obstetrical and Gynecological Society. She is currently accepting new patients.